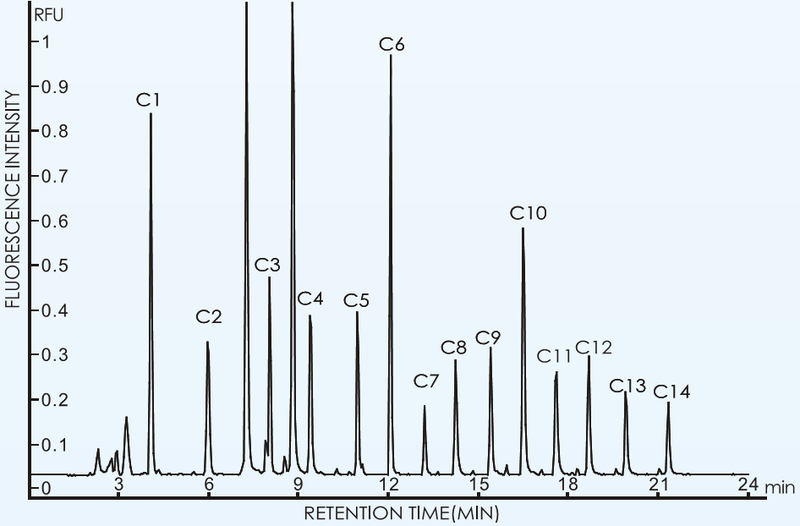 In pressurized capillary electrochromatography (pCEC), the retention mechanism is based on both chromatographic partition and electrophoresis. 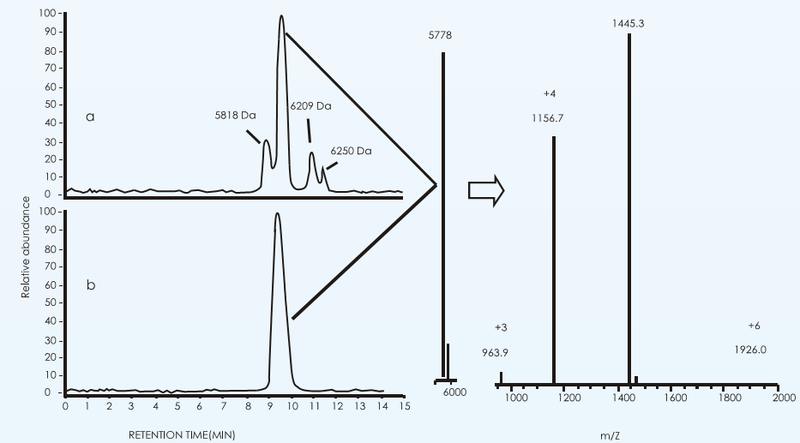 The dual mechanism of pCEC dramatically enhances the separation selectively, compared to the stand alone HPLC or CE system. 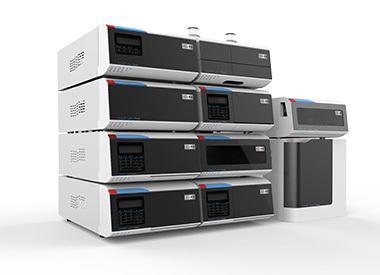 Modular design and flexible combination make it possible to run pCEC, μ-HPLC and CE on the same TriSep®-3000 system. Combined with on-column technologies, TriSep®-3000 pCEC system can be readily coupled with UV, LIF, EC, MS and other detectors. The pCEC technology is widely applied in various fields, including pharmaceutical, biotech, food and beverage, environmental applications. Ultra Performance created by dual separation mechanism and small particles of 1.5 μm. 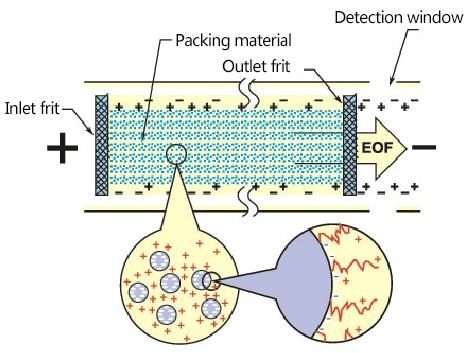 Pressurized capillary electrochromatography (pCEC) is based on dualmechanism of both chromatoghraphic partition and electrophoresis, chromatography particles in the capillary column and force given by electro-osmotic flow (EOF) and pressure. Contributed to the dual mechanism, pCEC makes the separation of charged and non-charged components possible. 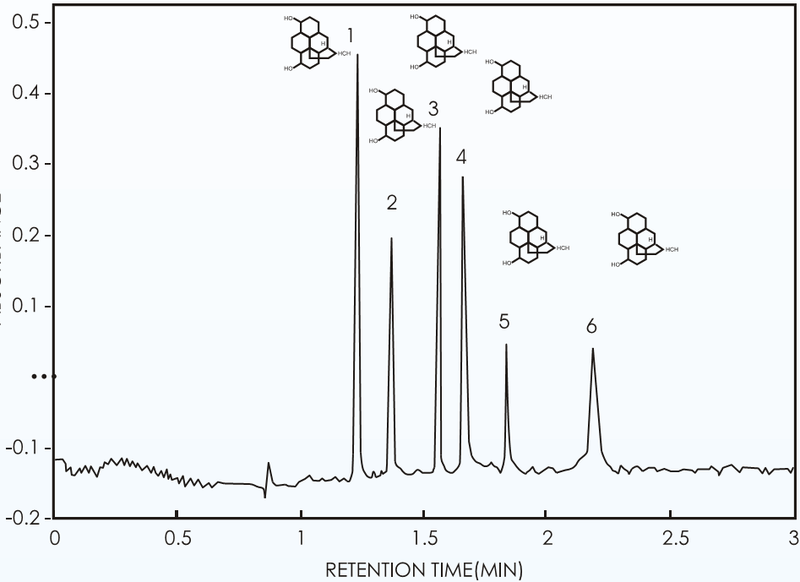 With the existence of EOF, pCEC offers much better efficiency than that in HPLC. Chromatography theory states that increasing efficiency will increase resolution. pCEC easily makes the application of small particles of 1.5μm possible, because EOF in pCEC does not produce back pressure as in HPLC system with small particles. For the same reason, pCEC system makes the application of longer column over 500 mm possible, which also increases the efficiency of separation. Detector: MS, sheath flow, 3 μL/min 50% (v/v) CH3OH/0.5% CH3COOH; Sheath gas flow, 12 unit/min; ESI, 4.5 kV; Scan speed: 200-2000u.